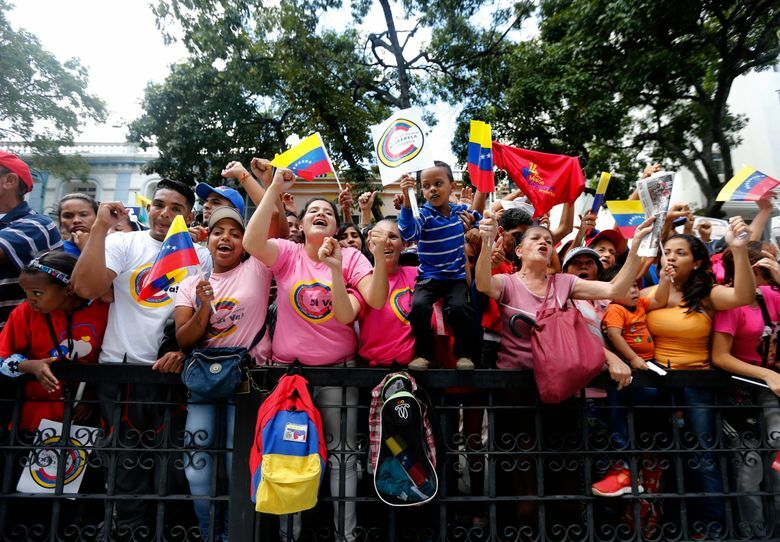 CARACAS, Venezuela (AP) — Defying criticism from Washington to the Vatican, Venezuela’s ruling party on Friday installed a new super assembly that supporters promise will pacify the country and critics fear will be a tool for imposing dictatorship. 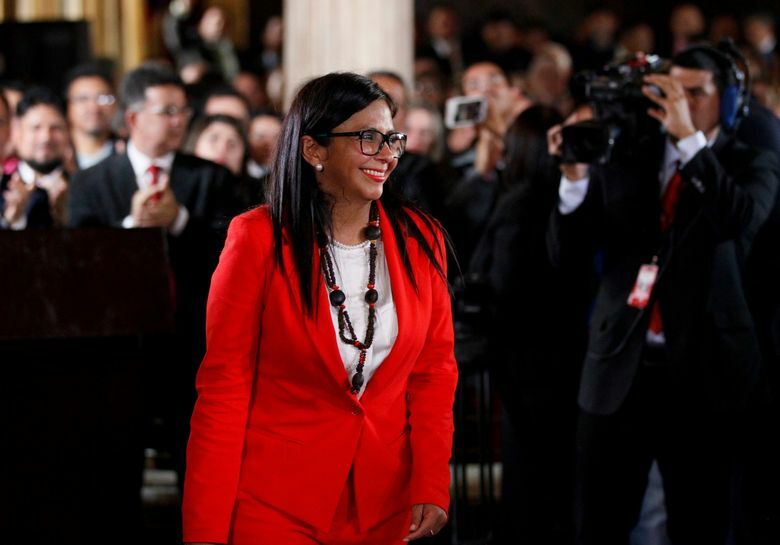 The constitutional assembly’s first order of business was selecting its head — former Foreign Minister Delcy Rodriguez, a loyal follower of President Nicolas Maduro. 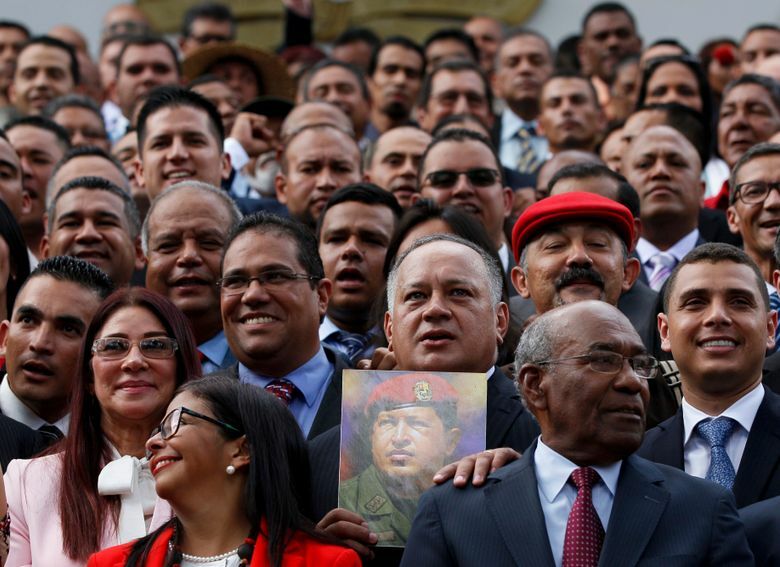 The nomination was approved unanimously by the 545 delegates, who marched to the neo-classical legislative palace accompanied by hundreds of red-shirted government supporters carrying roses and giant portraits of the late Hugo Chavez, Maduro’s predecessor and mentor. 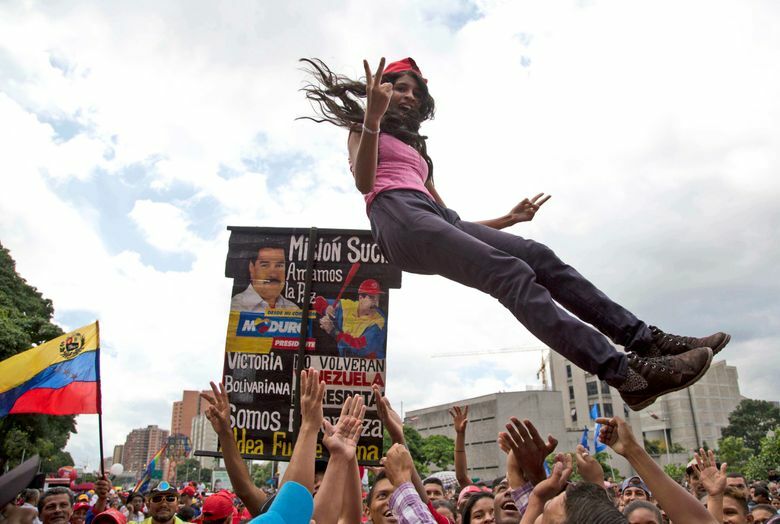 Some shouted, “He’s returned!” as a jab at the opposition, which had ordered images of Chavez removed from an adjacent building when it won control of congress in 2015. 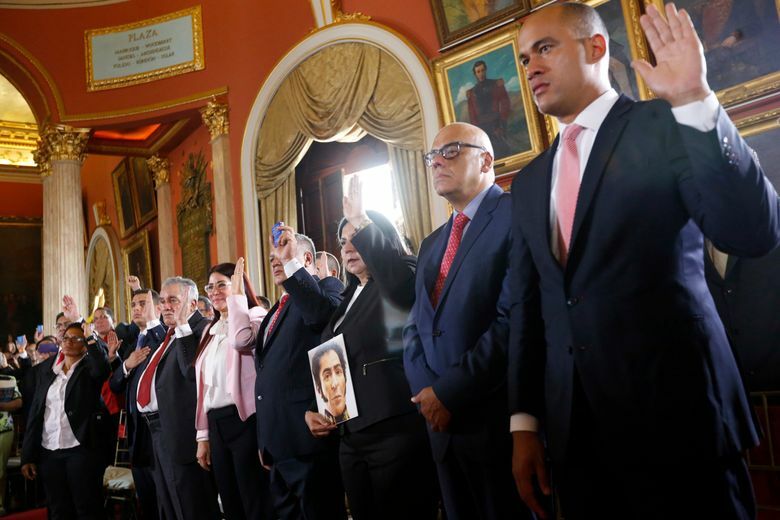 The assembly was scheduled to meet again Saturday, and Rodriguez pledged it would be taking action against Maduro’s political opponents. The installation of the all-powerful constitutional assembly is virtually certain to intensify a political crisis that has brought four months of protests that left at least 120 people dead and hundreds jailed. Maduro vows the assembly will strip opposition lawmakers of their constitutional immunity from prosecution, while members of congress say they will only be removed by force. But the opposition is struggling to regain its footing in the face of the government’s strong-armed tactics and the re-emergence of old, internal divisions. 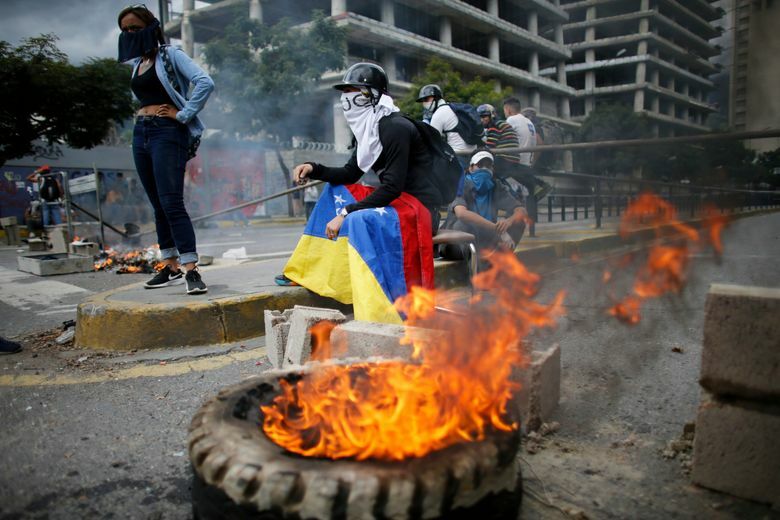 Several opposition activists have been jailed in recent days, others are rumored to be seeking exile and one leader has broken ranks from the opposition alliance to say his party will field candidates in regional elections despite widespread mistrust in Venezuela’s electoral system. In a sign of its apparent demoralized state only a few hundred demonstrators showed up for Friday’s protest against the constitutional assembly, one of the smallest turnouts in months. They were halted by security forces firing tear gas and rubber bullets. 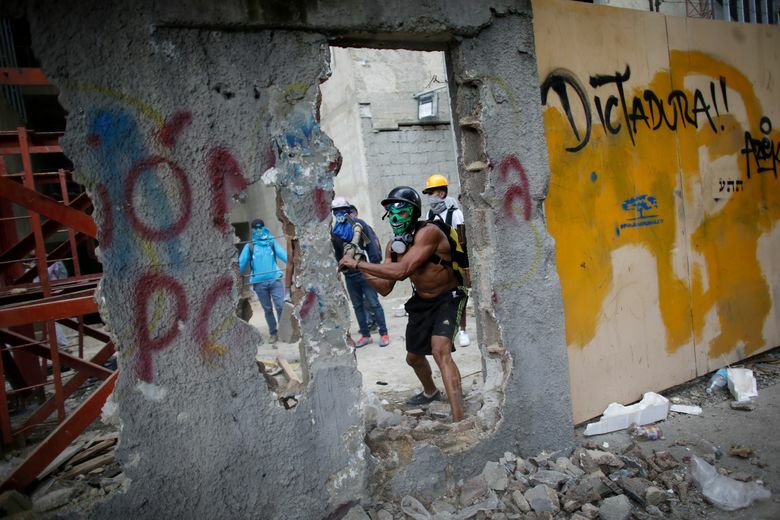 “This is what the constitutional assembly will bring: more repression,” said opposition lawmaker Miguel Pizarro. However, Maduro accuses his opponents of using violence and argues that the constitutional assembly is the best way to restore peace. On Friday he heralded members of the security forces who’ve been on the front lines of the daily street battles, claiming that 580 of them had suffered serious injuries from brutal attacks by “terrorist” protesters. 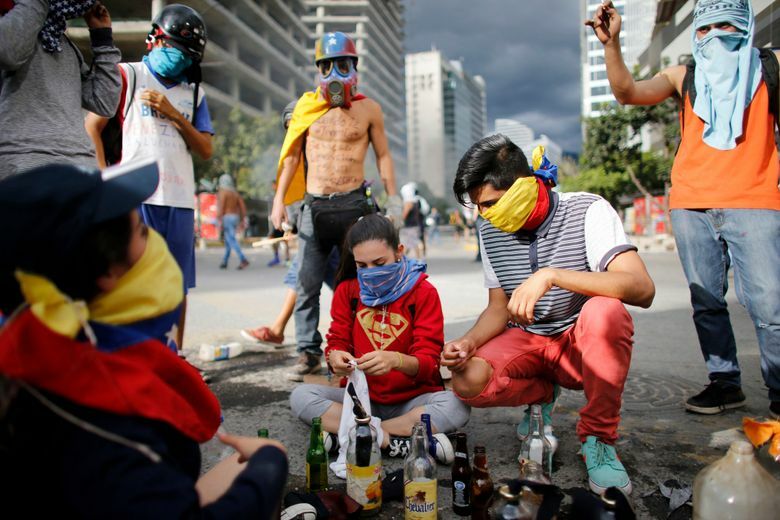 Amid the rising tensions, an increasing number of foreign governments have sided with the opposition, refusing to recognize the constitutional assembly and further isolating Maduro’s government. 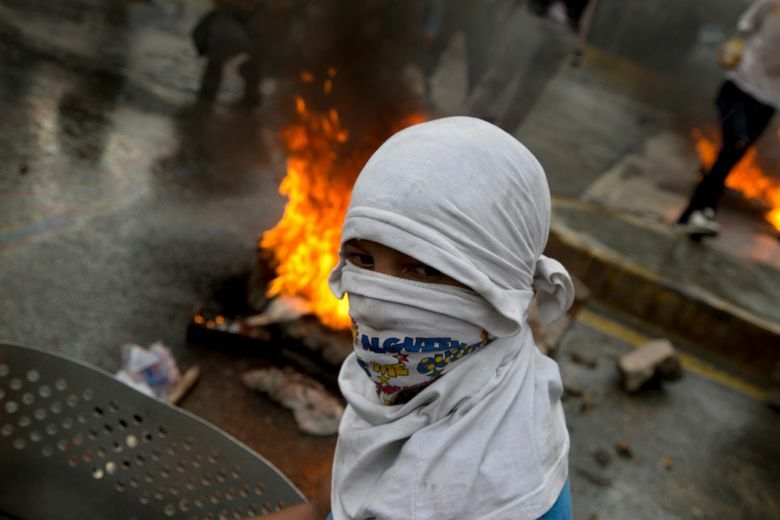 On Friday, the Vatican urged Maduro to suspend the new body, expressing “deep worry for the radicalization and worsening” of the turmoil in Venezuela. President Donald Trump and his French counterpart, Emmanuel Macron, agreed that Maduro must restore the rights of the Venezuelan people in a phone call Friday to discuss several ongoing international crises, according to a readout of the conversation by the White House. Foreign ministers from several South American nations said they will gather Saturday in Brazil for an emergency meeting to decide whether to evict Venezuela from the Mercosur trade bloc for violating its democratic norms. Venezuela was suspended from the group in December. The results have come under mounting scrutiny after the international company that provided the electronic voting machines said that “without any doubt” the official turnout had been tampered with — a charge dismissed by Maduro and the National Electoral Council. The constitutional assembly is made up of an array of pro-government trade unionists, students and even representatives of Venezuelans with physical disabilities. But the agenda is expected to be set by bigger-name loyalists, including Maduro’s wife, son and several ministers who resigned their posts to join the body. It will have sweeping powers to upend institutions and in theory could even remove Maduro, a fact held up by government supporters as proof that it’s not a partisan power grab. 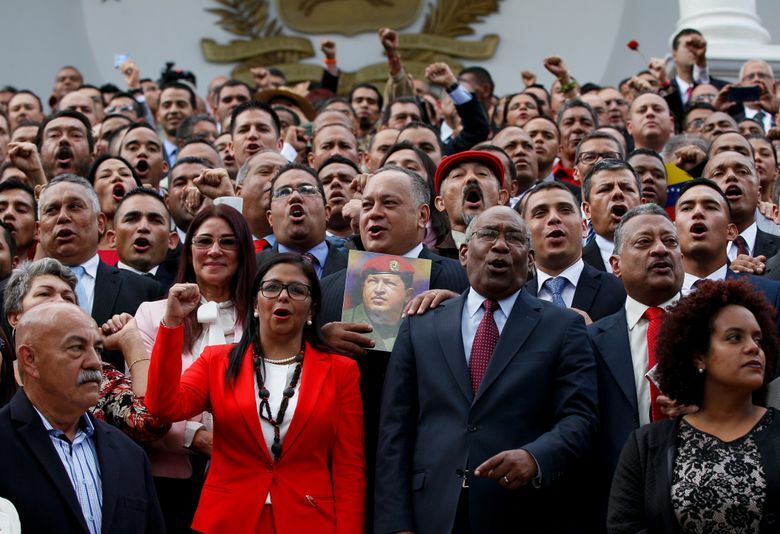 One of its first tasks, which may come as early as Saturday, could be the closure of the opposition-controlled congress and the removal of chief prosecutor, Luisa Ortega Diaz, a longtime supporter of Chavez who recently broke with Maduro. Ortega Diaz filed a complaint Thursday seeking a court order to block installation of the new assembly. The request, filed to a lower court in an apparent attempt to circumvent the government-stacked Supreme Court, was dismissed Friday on procedural grounds. She also ordered prosecutors to investigate the allegations of election tampering. Smartmatic CEO Antonio Mugica said Wednesday in London that results recorded by his company’s systems and those reported by the National Electoral Council show the official turnout count of 8 million was off by at least 1 million votes. An independent poll suggested that fewer than 4 million people voted. Opposition lawmakers have pledged to remain in power no matter what action is taken by the constitutional assembly, raising the possibility of two governing bodies operating side by side, with neither recognizing the other. Goodman reported from Bogota, Colombia. Associated Press writer Mike Weissenstein from Havana, Cuba contributed to this report.